"EE UNVEILS SAVINGS OF NEARLY £200 ON THE LATEST SMARTPHONES, PLUS DISCOUNTS ON TABLETS, ACCESSORIES, PAY AS YOU GO AND SIM ONLY PLANS!!!" They didn't really use all those exclamation marks. There will be further deals come Black Friday itself, November 24. Been wondering if now is the time to get on the Nokia Comeback Bandwagon? 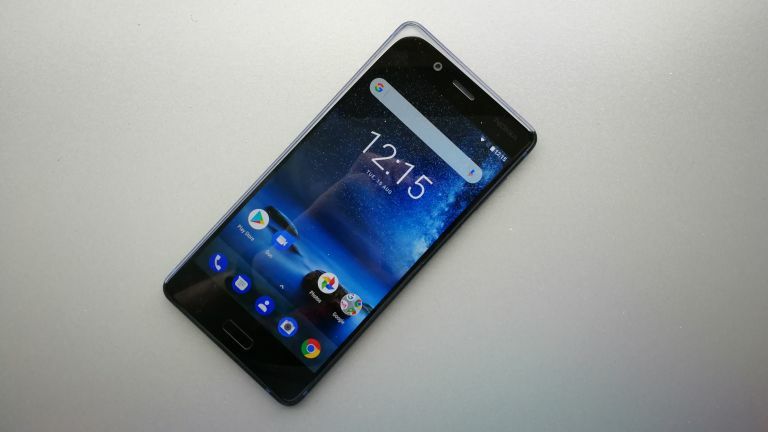 EE has its flagship Nokia 8 in matt blue with 64GB for no upfront cost, £30.49 per month for 24 months, with 500 minutes! Unlimited texts! Er… 500MB data. Yay. Get the 'popular' iPhone 6S 32GB, 'free' on EE’s Essential Plan for £30.49 per month with 500MB of data (24-month contract). Get the 32GB and 128GB models of the iPhone SE with no upfront cost on an EE Essential plan for £20.49 and £25.49 per month respectively (24 month contracts), both with 500MB of data. Probably the best phone of the lot is the Huawei P10, which is available with no upfront costs on an EE Essentials plan at £25.49 per month for 24 months, again with 500MB of data. In short: if you can get by on not much data, and want a free phone of very solid quality, EE has your back. Want a bit more data on the UK's fastest and easiest to spell network? EE probably has your back there, too. The excellently-named Huawei T3 8-inch tablet is £45 upfront then just £14 per month on a 24-month EE Essentials contract, including 2GB of data. From November 22 you'll be able to save £204 on a £19.99 a month 12-month 4GEE, SIM only contract, with 20GB of data, unlimited calls and unlimited texts, or receive a £100 reward card on a £26 a month 12-month 4GEE Max plan with 25GB of data, unlimited calls and unlimited texts. Sign up for EE home broadband and get free set-up on all plans, plus a reward card based on the broadband deal chosen: £50 reward card for ADSL, £75 reward card for fibre, £100 reward card for fibre plus and £125 reward card for fibre max. Existing pay monthly EE customers will also be eligible for a 5GB data boost on their mobile device when they sign up to a new home broadband deal. EE also does some interesting deals where you buy accessories over the course of your mobile contract. UR Beats – £4 per month (£44 total). This is EE’s best ever Beats UR offer yet. In fact it's so good, it seems to have now vanished from the website. There's also deals on charging pads, people!